Snake Catchers :: What does snake venom do? 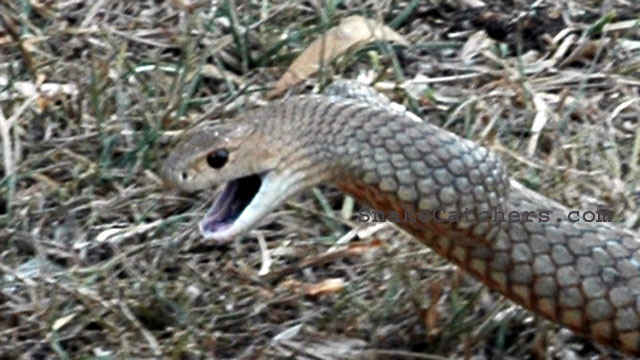 Like us on Facebook and get the odd cool snake pic in your news feed! Also if you can't find a local snake catcher just drop us a line on Facebook and we will do our best to find one for you. This is a demonstration of the effect of snake venom on blood. The snake used for the demonstration is the Russell's Viper. The venom has strong coagulant properties, similar to the Eastern Brown found in Australia (pictured). The Russell's Viper is found in India and Asia and in some ways looks similar to some Australian pythons. It could explain why some visitors to Australia fear the pythons so much.